In today’s world, it’s hard to imagine a day without self-service. From self-service kiosks that allow us to check-in conveniently, to the coffee machines that hand out our morning coffee – we are surrounded by self-service tools that make the lives easier. Self-service is a powerful concept because it’s secure, flexible, and easy to use. At Cohesity, we believe backup and recovery for single or multi-tenant environments should be no exception to this. Most service providers (excluding hyperscalers) lack large R&D investments for in-house development of multi-tenant, self-service solutions. As a result, they may opt for loosely integrated open source tools or cobbled-together solutions for cost-effective delivery and rapid time-to-market. This is a common approach, especially for non-hyperscalers, but it can drive up providers’ cost and complexity while yielding sub-optimal user experience for their tenants. 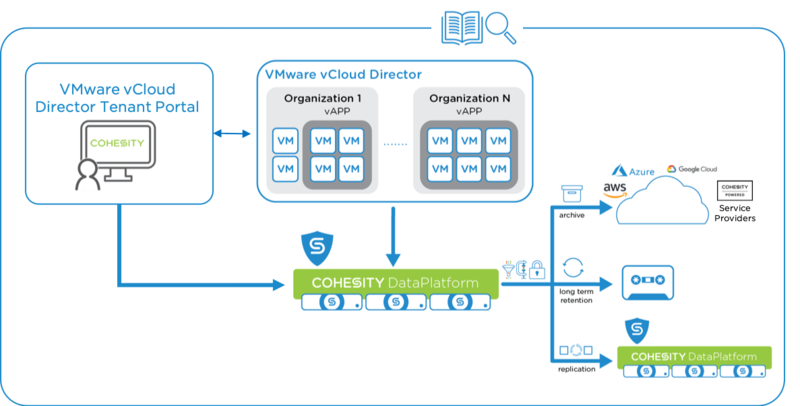 Enter Cohesity Extension for VMware vCloud DirectorTM. VMware vCloud Director, commonly referred to as “vCD”, is a multi-tenant cloud provisioning and management platform for service providers. It enables service providers to deliver infrastructure-as-a-service (IaaS) with self-service on top of their VMware infrastructure. In partnership with VMware, Cohesity brings the power of self-service to vCD tenants for backup and recovery with secure, native integration into the HTML UI. The experience is seamless for tenants because backup and recovery tasks take place in a single UI alongwith their IaaS tasks, rather than requiring them (or the provider) to hop back-and-forth between multiple, discrete UIs. This complements Cohesity support for automated protection of vCD objects (including vOrgs, vDCs, vApps, and VMs), which safeguards enterprise data for single or multiple tenants at scale. Each tenant environment remains secure with automated, role-based access controls. Service Providers can run backups and restore automatically through policies or on demand. They can also speed virtual application (vApp) and virtual machine (VM) recovery on-premises or across multi-clouds. And they can restore a subset of VMs, individual files, or an entire vApp instantly. Under the hood, Cohesity Extension for VMware vCloud Director leverages the power of the Cohesity REST API to deliver self-service backup and recovery at your fingertips. Cohesity Extension for VMware vCloud Director features a provider view and a tenant view. The provider view offers Service Providers the flexibility to configure multiple Cohesity clusters and map vCD tenants to Cohesity organizations. Service Provider administrators can efficiently perform on-boarding of tenants. Role-Based Access Control (RBAC) is baked-in and tenants can only backup or restore VMs that are assigned to them. The tenant view offers tenant administrators the flexibility they need for self-service backup and recovery. Tenants can manage backup and recovery for their virtual data center (vDC) directly from the vCD tenant portal without the need to log in to a separate interface. A dashboard allows them to see an overview of their protection status. Using simple workflows, they have the flexibility to perform policy-based and ad-hoc backups, and execute in-place restores for both standalone VMs and vApps as well as self-service file-level recovery. Tenant administrators can fully or partially protect or entirely unprotect vApps. Having integrated backup and recovery services for VMware vCloud Director not only streamlines operations, but also provides a rich tenant experience that allows Cohesity and VMware Cloud Provider Program (VCPP) partners to offer differentiated services. Cohesity Extension for VMware vCloud Director is now generally available on GitHub. In addition, it is now showcased on VMware Solution Exchange. The VMware Solution Exchange is VMware’s ecosystem marketplace – a central location where customers can research, evaluate, and rate more than 2,500 solutions from VMware technology partners, systems integrators, and developers. Take a look at Cohesity press release. 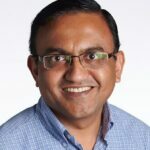 Cohesity’s Shreyas Agnihotri, Member of Technical Staff, contributed to this blog.